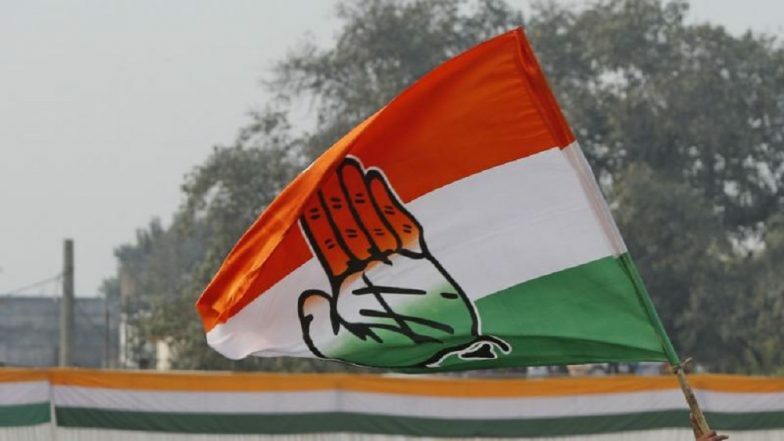 New Delhi, April 13: The Indian National Congress on Saturday came out with another list of candidates for the 2019 Lok Sabha Elections. The candidates' list contains names for Lok Sabha seats from the states of Haryana, Madhya Pradesh and Uttar Pradesh. Uttar Pradesh Lok Sabha Elections 2019: Phase I Polling Concludes, Over 64 Percent Voters Exercise Franchise. The names of seats from where candidates have been announced are: Ambala, Sirsa, Rohtak, Bhiwani- Mahendragarh, Gurgaon, Faridabad, Bhind, Gwalior, Dhar, Mohanlalganj, Ambedkar Nagar, Gonda, Basti, Salempur, Jaunpur, Ghazipur, Chandauli and Bhadohi. Lok Sabha Elections 2019 Schedule: Voting In 7 Phases From April 11 to May 19, Counting And Results On May 23; Check All Dates For General Elections. Candidates such as Kumari Selja, Ashok Tanwar, Deepender Singh Hooda, Ajit Pratap Kushwah and Rama Kant Yadav are in the fray from Ambala, Sirsa, Rohtak, Ghazipur and Bhadohi seats respectively. Voting for the Lok Sabha Elections 2019 will take place in seven phases. While the first phase of voting has already taken place on April 11, the last phase of voting will take place on May 19. The counting of votes will take place on May 23. Stay tuned to LatestLY for all the latest updates of Lok Sabha Elections 2019.